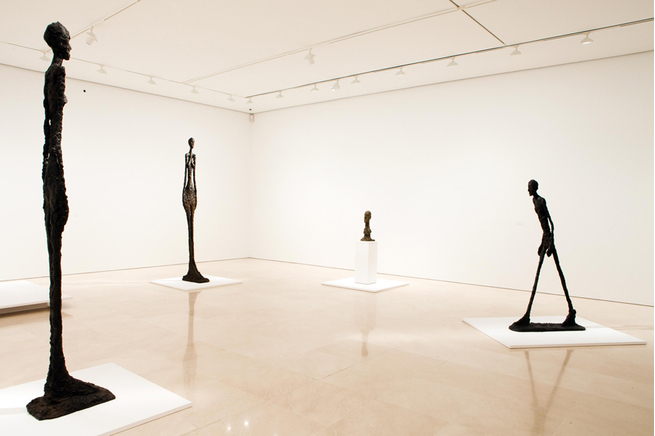 The exhibition showed the importance of human figure in the art of Alberto Giacometti. The installation recreated the atmosphere of Giacometti´s studio. The visitor could compare the different periods of the artist. The dog (1951), considered one of his masterpieces, showed the particular characteristiques of the sculpture by Giacometti. The importance of portrait in the career of Giacometti was shown through a selection of outstanding artworks. The exhibition had points of dialogue between the work by Giacometti and by Picasso. 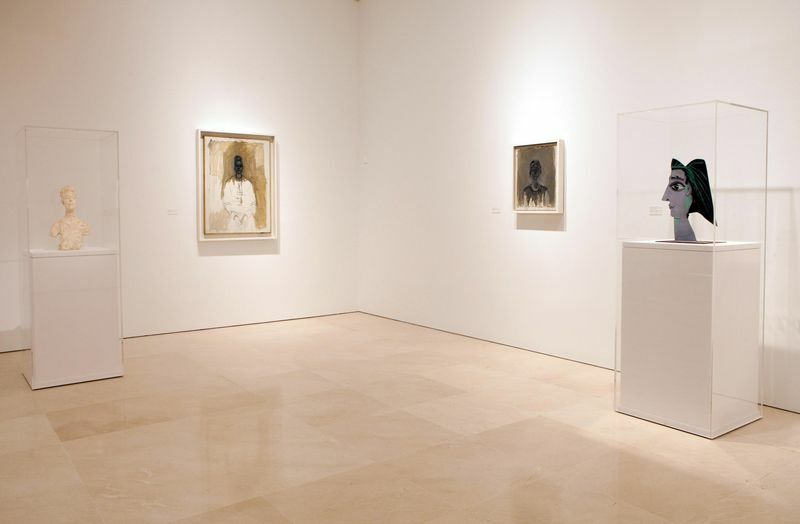 In October 2011 Museo Picasso Málaga presented Alberto Giacometti. A Retrospective, an exhibition that precisely reflected the different stages in the career of one of the outstanding artists of the last century. Giacometti’s work is crucial to understanding the development of the avant-gardes and the subsequent evolution of contemporary art, while as an artist he nevertheless defies classification. This project challenged the conventional reductionist view of Giacometti’s oeuvre. This was the first Alberto Giacometti retrospective to be held in Spain in more than 20 years, and it brought together 198 artworks in the Palacio de Buenavista. The 20 photographs and 166 of the other works were from the collections of the Fondation Alberto et Annette Giacometti, in Paris, created by the artist's widow. 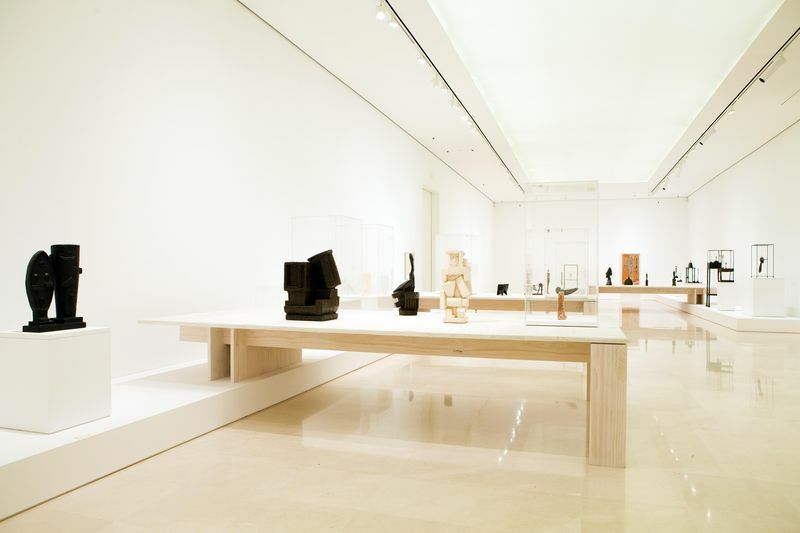 The show was completed by three works by Gioacommetti that were on loan from private collections and from the Zurich Kunsthaus, along with a work by José Ruiz Blasco and a selection of eight works by Pablo Picasso from private collections, the MPM’s own permanent collection and the Fundación Picasso Casa Natal. The activities that were scheduled to take place alongside this exhibition included workshops, jointly organized with ONCE, that involved six resin copies of sculptures by Alberto Giacometti; a seminar that examined the subject of Architects, Film-makers and Artists in their Studios; guided tours of the exhibition for adults and schoolchildren, and workshops for school group during term-time and for children in general during the Christmas holidays. With his exhibition of Alberto Giacometti (Borgonovo, Switzerland, 1901 - Chur, Switzerland, 1966), Museo Picasso Málaga presented the work of a key figure in twentieth-century art and a contemporary of Pablo Picasso, with whom he coincided in Paris, although, though the Swiss artist was a generation younger. Despite the evident aesthetic and existential differences that characterize their work and their attitudes, there are significant points in common in the two artists’ careers, such as being sons of artists, their academic training, their move to Paris during their youth from peripheral countries to the artistic centre of the time, and their shared interest in the Old Masters. 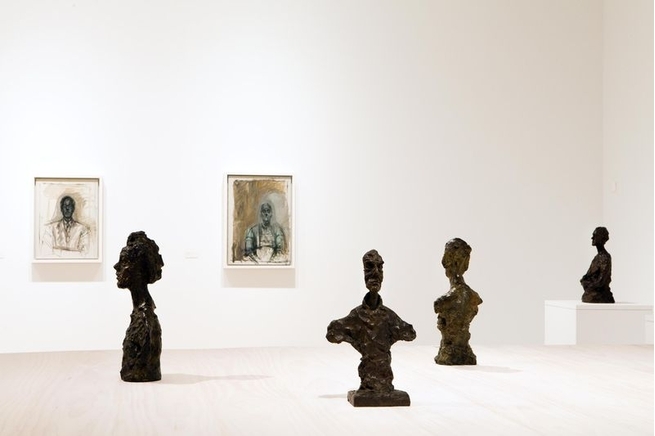 The exhibition also addressed other key facets of Giacometti’s life and work, such as his obsession with inventing new modes of representation by stripping traditional genres such as the portrait, the still-life, the human figure and landscape down to the barest minimum. The show also explored his belief in the existence of a reality beyond the realm of appearances, as evidenced by his brief foray into Surrealism – a reality he perceived as being in constant flux and transformation. The 169 works by Giacometti brought together for this exhibition, which included oil paintings, sculptures, drawings, prints, furniture and textiles, and the 20 photographs by other artists documenting the artist at work, were grouped in different sections and arranged chronologically to show the successive stages of his aesthetic evolution: the earliest works, his arrival in Paris and first exposure to non-academic influences, his interest in late Cubism, his artistic relationship with creative talents such as Picasso and Cézanne, the notion of the cage as delimited space and the human as an artistic genre, among other topics. Alongside them were displayed a small selection of works by Pablo Picasso that illustrated the common features of both artists, as described above. It should be pointed out that twenty of the works that were brought to Malaga - amongst them two oil paintings - had never before been on loan from the Fondation Alberto et Annette Giacometti for exhibition purposes. This was therefore the first time they have been on show. Also on display was an interactive digital version of a 1932 sketchbook of Giacometti’s drawings that revealed the Swiss artist’s explicit interest in a group of works by Pablo Picasso that are specific in terms of period and form. A painter, sculptor, draftsman, printmaker, creator of decorative objects and writer, Giacometti never ceased to explore new artistic paths. The exhibition as a whole bears witness to his disturbing and wonderful world and the coherence of his aesthetic position. Alberto Giacometti. A Retrospective began with works from the family setting of his early years, and the first portraits and anatomical studies. One of the key sections of the exhibition traced the artist’s development from his arrival in Paris in 1922 and his attempts to engage as a sculptor with late Cubism in the second half of the twenties and the early thirties and with the tenets of Surrealism, from his first contacts with Jean Cocteau and André Masson in 1929 through to his admission into André Breton’s circle in 1931. During the thirties Giacometti devoted a part of his energies to applied arts, designing and making furniture and decorative objects, a number of examples of which are included in the show. This line of work gave added impetus to his experimentation and his sculptural exploration of a new idea of place, with an aesthetic far removed now from Cubism and Surrealism. He now set himself to question the value of abstract art as a credible vision of reality, and in engaging with and reworking the traditional genres made a unique contribution to the history of twentieth century art. During the second half of the thirties, after he was expelled from the surrealist group, he began to focus on the relation between figure and pedestal, on the expression of architectural and spatial qualities, highlighting the work of art as the nucleus that facilitates the experience of place. One of the most innovative departures here is the affirmation of the value of real movement in sculpture. From 1946 on, are the stretched and elongated threadlike figures sculpted in bronze that inhabit a space shared with the viewer. These are complemented by a series of oil paintings in which the representation of the protagonists strips them of subjectivity in order to endow them with objective intensity and luminosity. 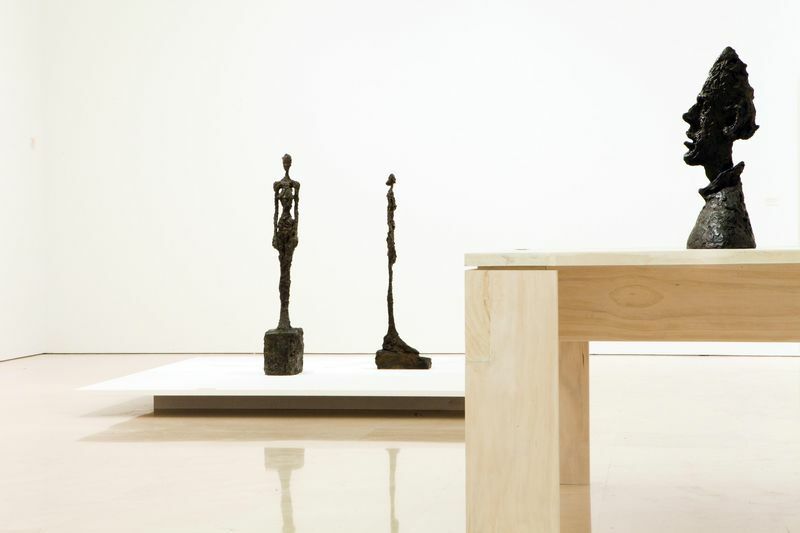 For Giacometti, sculpture was of interest to the extent that it embodied his vision of the outside world. The exhibition concludes with the impressive figure of the Walking Man I from the sixties, the culmination of a life and a career of absolute dedication to his work. The exhibition also included a remarkable selection of Giacometti’s prints and drawings, which focused on the modes of representation of the artist’s studio and models, and a series of works that bear witness to his appreciation of the art of other cultures, notably those of Africa and Oceania. 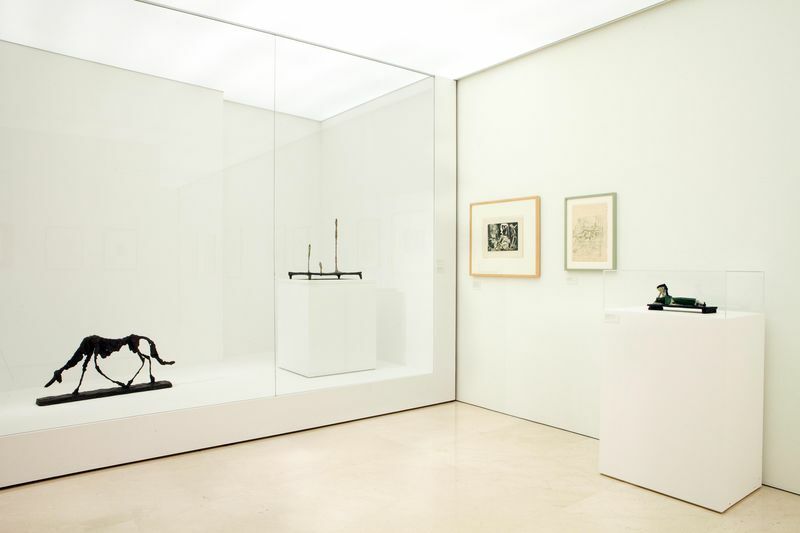 The exhibition was curated by art historian Véronique Wiesinger, director of the Fondation Alberto et Annette Giacometti in Paris and one of the world’s foremost experts on the artist’s work, in collaboration with José Lebrero Stals, artistic director of the Museo Picasso Málaga. As a complement to the Giacometti retrospective, six resin copies produced by the Fondation Alberto et Annette Giacometti, for the sole purpose of this exhibition at Museo Picasso Malaga, were put on display for the very first time. A series of visits were organized in collaboration with the ONCE (the Spanish organization for the blind), so that the visually impaired and the general public alike can discover the Swiss artist’s work and his creative skill. A programme of activities was designed around these replicas, along with a discovery area entitled A Journey Using Your Hands: Exploring Sculptures by Alberto Giacometti. 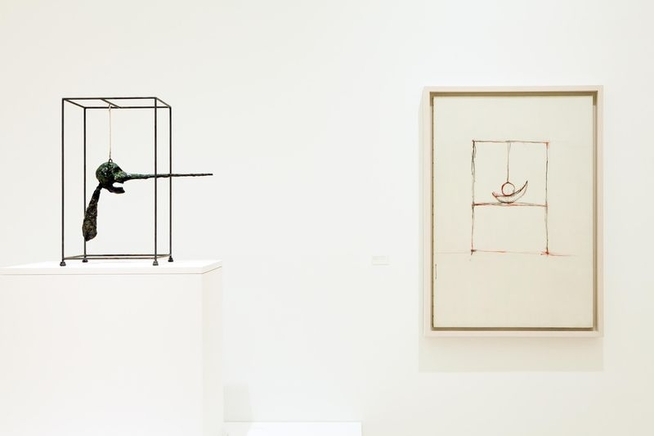 Both provided visitors an insight into to the passion and commitment that, for Giacometti, were inherent to art practice and which he himself defined as “the most extraordinary adventure”. Museo Picasso Malaga also organized a seminar, Architects, Filmmakers and Artists in their Studios. This series of talks deal with the subject of the artist’s studio, and examined its importance as a creative and experimental space. Luis Puelles, professor of Theory and Aesthetics at the University of Malaga, José Ramón Moreno, director of the University or Malaga School of Architecture, and Luciano Berriatúa, from Paris VIII University, will offered an initial approach to, and general contextualization of the subject from the point of view of the visual artist, the architect and the film-maker. This activity was part of the programme Picasso 20 Gazes. Malaga, 20 Years Under Picasso’s Gaze, which was organized in collaboration with the University of Malaga. The work of Alberto Giacometti was also the main subject of Gallery Talks, the guided tours held at MPM every Thursday at 6.00pm. Other activities, such as guided tours and workshop visits for schoolchildren and Christmas workshops for children and adolescents, were also scheduled over the next few months at MPM. As a complement to the Giacometti retrospective, six resin copies produced by the Fondation Alberto et Annette Giacometti were put on display for the very first time. A series of visits were organized in collaboration with the ONCE (the Spanish organization for the blind), so that the visually impaired and the general public alike can discover the Swiss artist’s work and his creative skill.